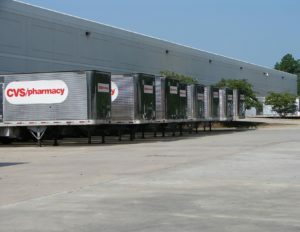 The Sale of the CVS Distribution Center was a controlled offering that brought significant offer activity and set a record for cap rate for a secondary market distribution center. CVS had 13.5 years remaining on their lease, but with above market rents, no rent escalations and located within a flood plain, this presented several challenges throughout the sale process. At a 6.45% cap, this was a very attractive sale for the REIT selling the asset. • Arranged Attractive Financing for Family Partnership with Life Insurance Co. The sale of the Mesa Immigration Customs Enforcement and U.S. Forestry Service facility represents the growing demand we are witnessing for (GSA) General Services Administration leased property. After an intensive 3-week controlled marketing campaign we were able to solidify 8-LOI’s from active institutions, high net worth investors, and syndicates predominantly focused in federally leased property acquisitions. After a concentrated vetting and counteroffering process, we selected a Purchaser that had significant experience acquiring and financing government real estate. 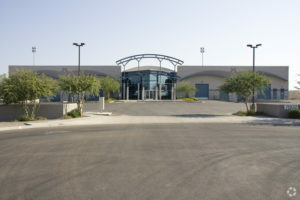 The sale presented several challenges as the lease with the federal government and Landlord also included a land lease with Mesa’s Gateway Airport. With shorter lease term than the Lender was willing to amortize their loan, our Seller proactively assisted the Purchaser with managing the land lease extension, which took several months to complete. Despite significant rises to interest rates the Purchaser ended up closing on the asset and is proud to own this highly specialized enforcement facility. At $11M sales price, this property represents a record cap rate for an asset on a ground lease with the agencies remaining lease term of six and two years respectively. 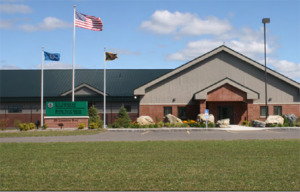 REIT which increased their original offer by $3 million. The all-cash transaction concluded within 27 days from signing the contract. The REIT cited our national exposure and broad marketing strategy ultimately prompted them to quickly raise their offer, giving them a competitive edge over the competition and increasing the likelihood of winning the contract. 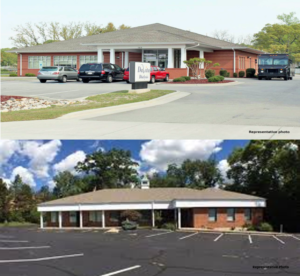 A repeat client engaged The Ficke Group to market for sale their newly constructed Fresenius Dialysis Clinic in Williamsburg, VA. After several discussions regarding pricing the asset appropriately and despite significant rises in interest rates, we noticed a void in the market for assets of this size within the Virginia coastal region. Our proprietary pricing model gave our client comfort in pushing the offering to the most aggressive limit, which proved beneficial due to the supply constrained market. After only 72-hours of exposing the asset to our national database, we received 6-LOI’s all hovering in the mid-to-high 5% cap range. After careful and methodical counteroffering, we received a 5.60% cap best-and-final LOI from a time constrained 1031 Buyer. The Buyer and Seller worked together to accommodate Sellers avoidance of the short-term capital gain treatment and Purchasers debt financing. 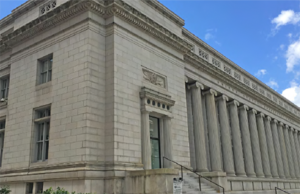 After a competitive proposal process, which consisted of four brokerage groups competing for the listing, Geoff Ficke, David Weinberg, and Paul Kerber of Marcus & Millichap were ultimately selected to represent Miller Valentine Group in the sale of their heavily sought after US Bankruptcy Court in downtown Dayton, Ohio. The marketing team conducted an intensive 30- day marketing process, which resulted in 9 LOI’s with a very tight range of offers from a mix of institutional and high net worth GSA Buyers. We went on to have multiple rounds of counteroffers and a best-and-final round that led to one Buyer pushing their pricing an additional $1M+ to win the contract. 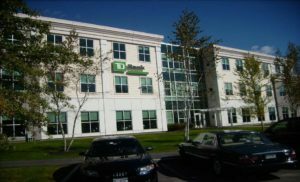 TFG was retained by the seller to exclusively market this GSA leased property in Fort Fairfield, Maine. From the very beginning, the asset presented several challenges. Both buyers and lenders heavily scrutinized the location due to the residual value concerns if USCBP ever decided to leave the location. The next hurdle was the state of the economy; it was 2009 and the country was in the middle of the Great Recession. Despite the challenges, we leveraged our GSA knowledge and executed a strategic marketing campaign and overcame many of the concerns of interested investors. We received several letters of intent and the seller selected a fund based in Arizona with federal leasing experience. We worked closely with the seller to ensure the existing lender remained attached to the transaction by modifying the loan, thus meeting the buyers yield requirements and netting the seller a substantial profit. 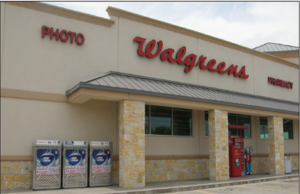 A Virginia investor hired TFG to act as their exclusive agent in the sale of their Walgreens in Little Elm, Texas. After a thorough market analysis and considering the future growth of the area, we recommended a much higher listing price than our competition, initially giving the seller pause for concern. We designed a custom marketing strategy capitalizing upon our extensive database and Marcus & Millichap’s national platform, reaching nearly all points of contact through various marketing mediums. We ran a successful and in-depth national marketing campaign, receiving several letters of intent for the $10 million listing, all near list price. After careful deliberation with our client and negotiations with the buyer’s agent, the seller selected the offer of a Kansas-based 103 1-exchange buyer and developer of residential real estate. Due to our expansive broker database, we connected with an agent searching for a property to complete their client’s 1031 exchange and uncovered this out-of-state investor. After a competitive broker interview process, TFG was selected to exclusively list this highly attractive ground lease in Williamsburg, Virginia. Due to our extensive track record and expertise with 1031 exchange investors, the seller elected to hire us over the competition. Despite less than six years remaining on the lease term, we studied the market and determined the asset’s value exceeded the low lease term and we priced the asset accordingly. We received a number of high quality offers, several of which were above market pricing. It was through Marcus & Millichap’s culture of collaboration that we ultimately paired our seller with a 1031-buyer exclusively represented by an agent in our Washington D.C. office. 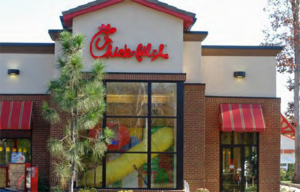 At the time of sale, the Chick-fil-A asset was the most aggressive ever sold at 4.56 percent capitalization rate with so little time remaining on the lease term. We credit such phenomenal results with the power of Marcus & Millichap’s culture of collaboration amongst our agents, nationwide. • Sold to a Buyer out of Washington D.C. 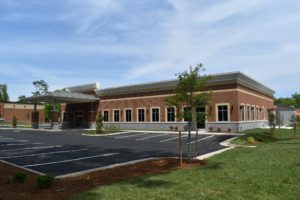 The Ficke Group was chosen to exclusively represent the seller in marketing these two dialysis centers in rural Tennessee. The properties presented numerous challenges and multiple brokerage companies were unsuccessful in procuring a qualified buyer. After having lingered on the market for nearly 2-years at the same price point, The Ficke Group was able to generate multiple offers and the seller ended up selecting an institutional buyer who closed with cash 30-days after going under contract.